Are you tired of getting C+ or B- on essays that you worked extremely hard on? Getting a C+ is not exactly a death sentence but to maintain that GPA you need at least an A- an above. Indeed, that is no easy cliff to climb, but that doesn’t mean you can’t do it. It is understandable to get frustrated after putting in a good number of hours on an academic essay only to get a C+. At times, there are only a few things you got wrong, that the other essay writer got right to get an A. A-grade writers aren’t exactly mind readers, but what they manage to do successfully is to intelligently fulfill most of the learning objectives and to demonstrate clearly that they’ve done so. So, what is your essay lacking then? Not everything of course! A C+ or a B- shows that you did get at least half the things right. But before I point out some of the common mistakes college students are making, let’s go over why exactly do students find essay writing so hard? 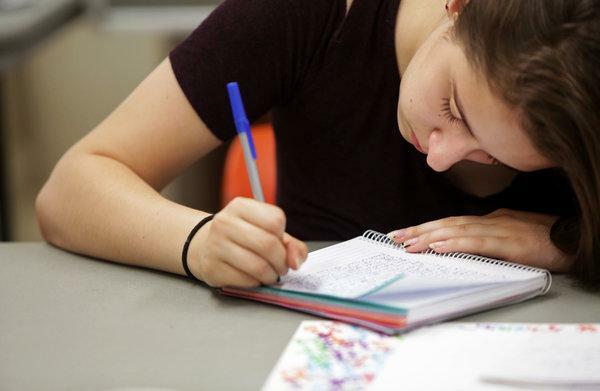 Students worry too much about an A, instead of writing something that’s actually good! I’ve often found students focusing on the external reward of getting an essay right, which may range from getting in the good ranks of the teacher, passing the course, or getting the GPA they need. This is not to say that it is unimportant. The problem is, it takes the fun out of writing and subconsciously shuts down your creativity and your engagement with the content. You’re telling your brain to write essay for cheap, but what you’re subconsciously interested in is to just fill that paper with anything that gets you the grade. Many students think of essays and homework as a chore that they have to get off their shoulders. They’d rather be playing a video game, hang around with friends or simply procrastinate. Others may find it difficult to balance their piling homework with a job they’re doing, while many just find the work plain boring! The problem is, college essays require effort and they require focus, which many aren’t just interested in putting in. Writer’s block can occur even with the best of writers. In college students, it can happen from a lack of confidence in their ability to write, or from confusion over how to start. The good news is that a number of techniques to overcome the ‘writer’s block’ exist. It’s not an uncommon problem and you don’t need to go see a doctor for it! Many student’s find essay writing a chore because there’s isn’t a step by step procedure for them to follow. The thought of having to express an objective opinion backed up by evidence that is going to be open to academic criticism could be scary for beginners. When the professor has assigned them the dreaded task, they’re now looking for a recipe in which they just have to change in a few instructions and voila! It seems pretty obvious, but that I cannot emphasize its importance. Students tend to spend a lot of time composing a sentence, then revising again and again. When I had to write academic essays at college, I would spend much more time on scribbling down a few ideas on a paper and plan out exactly what I wanted to create. I’d add in a few notes to those ideas that would then help me structure the whole thing. The writing part itself is easier. You just have to string those different ideas together according to the structure you planned. Add-in a few opinions and supporting evidences and you’ve got a nice looking 2100 word essay ready in a few hours. The main point is, you need to spend more time planning than writing itself. A key difference in A and C grade writers are that they’re open to other’s insights as well as criticism. It’s what helps them improve. If you have a friend who got a better grade, let him or her read through your essay. Have them critique your ideas, organization or content. They could provide you with some useful insights, you might have missed. If your professor is willing to discuss the parts they need revision, make sure you use that opportunity. It’s not only going to help you improve your score, but also help you write better essays in the future. Your professor wasn’t kidding when he said that spelling and grammar mistakes aren’t going to get you an A. Even the most perfect and logically organized arguments that contain grammatical mistakes, are poorly worded or formatted incorrectly are going to impact your score. If you want to avoid unnecessary deductions, proofread your work, or better yet ask others to go through it. You’ll be surprised at the basic things you may have overlooked when you prepared your first draft. Additionally, you can also make use of online grammar and spell checkers. But don’t just blindly rely on them, these tools are only as good as the user who makes use of them. There are always other options! Still unsure of yourself? Consider getting professional help. You’ll find numerous online writing services who employ freelance writers, professionals, and even professors who’re providing students having a hard time with much needed academic support. Once you find the right service, you can either get yourself a complete professionally written paper, or have an expert proofread and edit your work. That could help fill in that missing element which could essentially change your grade from a C+ all the way to an A!